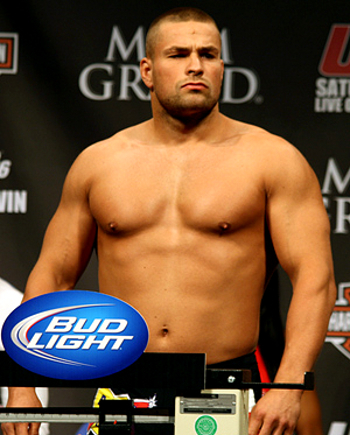 Karlos Vemola is stepping down from heavyweight to light heavyweight and is expected to fight Seth Putzerelli. The UFC 122 in Oberhausen, Germany surely showcase the talents of Europeans. Multiple sources said that Karlos “The Terminator” Vemola (7-1 MMA, 0-1 UFC) is moving from heavyweight to light heavyweight and is expected to meet Seth Petruzelli (12-5 MMA, 0-3 UFC). The UFC 122 event will take place on Nov. 13 at Oberhausen’s Konig Pilsener Arena and will air via Spike TV. Vemola from Czech Republic is now residing in London. He first entered the cage during UFC 116. But he had no luck in his opponent John Madsen. The latter took the unanimous victory in the end. Petruzelli had returned in the cage after a 3-year absence and met Ricardo Romero in UFC 116. Like Vemola, he didn’t go home with the victory instead, the spotlight turned into the new comer’s spot.